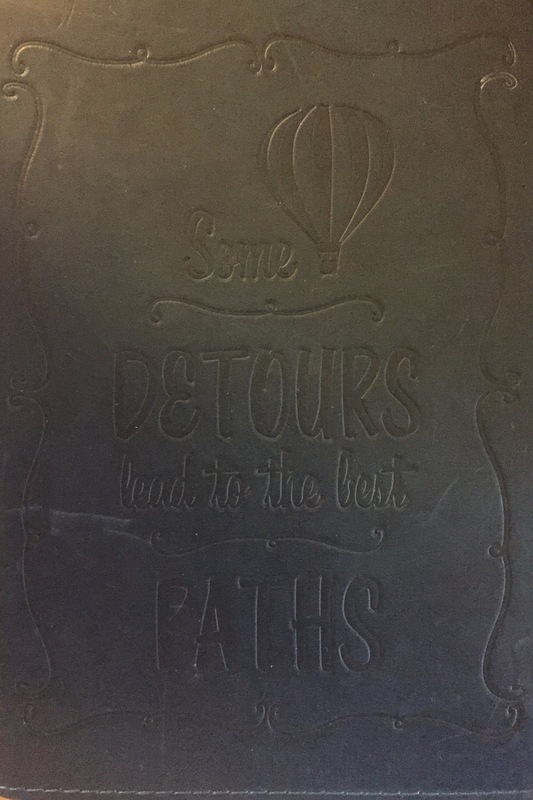 A friend gave this journal to me as a gift with that saying on it. There are so many quotes and sayings dealing with different paths, journeys, and the like throughout history that applies to how we live our lives. So many are great and they all apply to us at different times and in different situations. However, when I stumbled across this one earlier in the week I just felt the need to post it because, well, sometimes we overlook the detours. Detours are inconvenient and frustrating. Oftentimes that take us far away from the main path before it circles back. But some times, it leads us down the best paths. And while we may not see the outcome while living the moment, in the long run some detours are exactly what we needed, when we needed it.